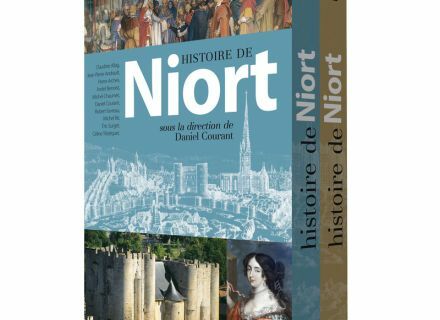 Six years of putting in papers, ten authors, historians, researchers with for the greater part thirty years of sharp researches in each of their domain, 900 pages… "History of Niort" is a fundamental reference book which has just appeared at Gestes Editions. 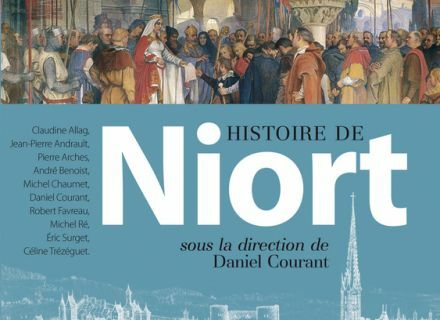 The masterful work gives a new perspective on the social, economic, religious and cultural life of Niort for 2000 years, from the Antiquity to the IIIth millennium. Two volumes in a casket at the attractive price of 30 € sold to the Tourist office of Niort : an idea of present welcome to the approach of Christmas and new Year holidays, a present which will satisfy easily the fanatics of local history. 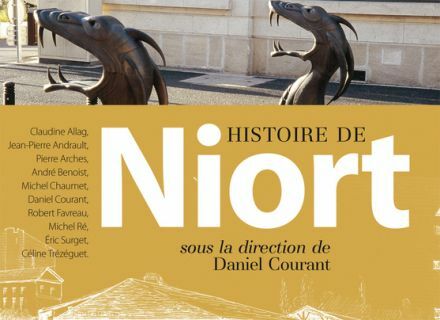 Before plunging you into this big book, take time to read the interview of Daniel Courant, honorary chief conservative of the museums of Niort, president of the historic and scientific Society of Deux-Sèvres, which assured the management of this literary monument. What motivated you to manage the editorial staff of this collective work ? 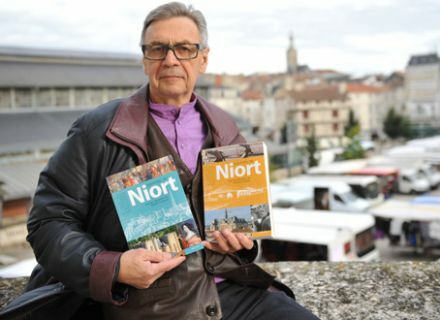 Daniel Courant : The meeting with the persons in charge of Geste Editions convinced me of the urgency of a new study concerning the History of Niort, the last publication dated year 1987. It was necessary to close two millenniums. What are the novelties developed in this history book compared with the former editions ? Daniel Courant : At first, an update according to antique and medieval new archaeological data. Then, the discovery in a collection deprived of papers of a family niortaise, Chabot. Especially, for the first time, a study of the literature, the music, the theater, the education, the learned societies which are so many cultural ranging-poles, without forgetting a history of arts, from Merovingian period to the construction of the Acclameur. Also a new, rich and varied iconography. What are the co-authors and their speciality ? Claudine Allag, engineer of research to the CNRS(NATIONAL CENTER FOR SCIENTIFIC RESEARCH). Céline Trézéguet, archaeologist. Michel Ré, professor and inventor of major archeological sites. Éric Surget, chief conservative of the libraries of the Conurbation of Niortais - Literature. Robert Favreau, professor emeritus of medieval history, honorary director of the Center of Higher education of Medieval Civilization. Daniel Courant, honorary chief conservative of museum - civil and military Construction. Éric Surget - Medieval Literature. André Benoist, doctor in modern history - societal and economic Study. Jean-Pierre Andrault, the qualified teacher, doctor in history - political and religious Study. Éric Surget - Literature, printing office. Daniel Courant - Sculpture, painting and architecture. Éric Surget - Literature, education, places of sociability, the stage, the music. Pierre Arches, doctor of State - Letters, Human sciences. Political and economic study. Daniel Courant - Painting, sculpture and architecture. Michel Chaumet, researcher associated with the Institute of History of the Present time to the CNRS(NATIONAL CENTER FOR SCIENTIFIC RESEARCH) - political and economic Life. Éric Surget - Literature, cultural militancy, the time of media libraries. Daniel Courant - pictorial and architectural Creation. How is organized the table of contents of both volumes ? Daniel Courant : The table of contents resumes the periodicities : antique, medieval, Modern times, Revolution and Empire, the XIXth, the XXth and the XXIth century. A bibliographical orientation. Did you question certain historic facts in the light of new researches ? Daniel Courant : The historians, by effect of mirror, studied the history of Niort with known facts in Paris or in Versailles. New political historic approaches of the Revolution, the XIXè and XXth centuries. Did you find new anecdotes ? Daniel Courant : Anecdotes especially are to be looked in the photographic exercise books (230 documents).